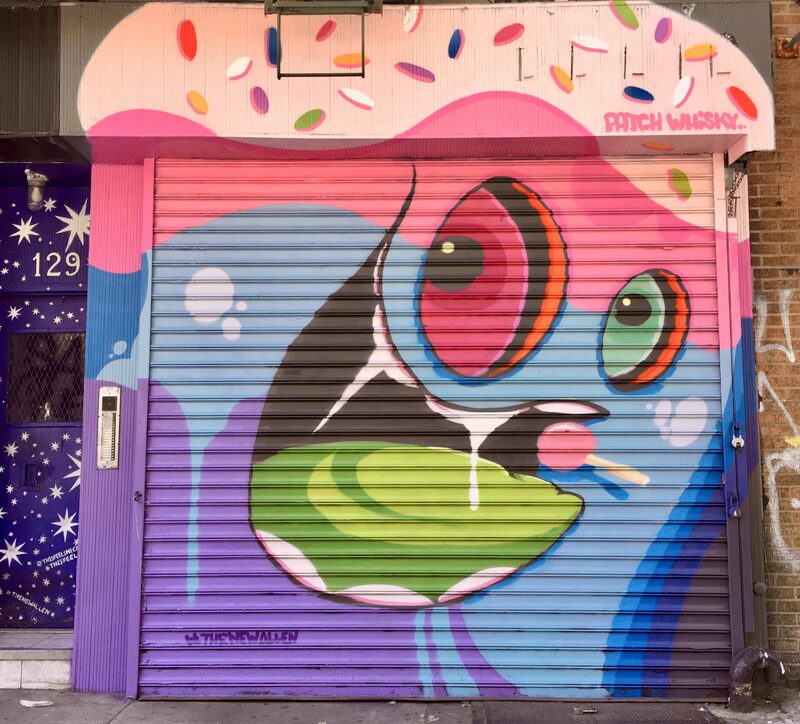 The New Allen (#TheNewAllen) is an on-going public art project where different street artists are commissioned to paint murals on the walls and the storefront gates along Allen Street between Canal and Houston (where Allen turns into First Avenue). This one, done in the very distinctive style of South Carolina-based muralist Patch Whisky (real name Rich Miller) was spotted on the west side of Allen adjacent to number 129. I think this piece is called the Candy Bandit, but I am not sure. Anyway, I love it.